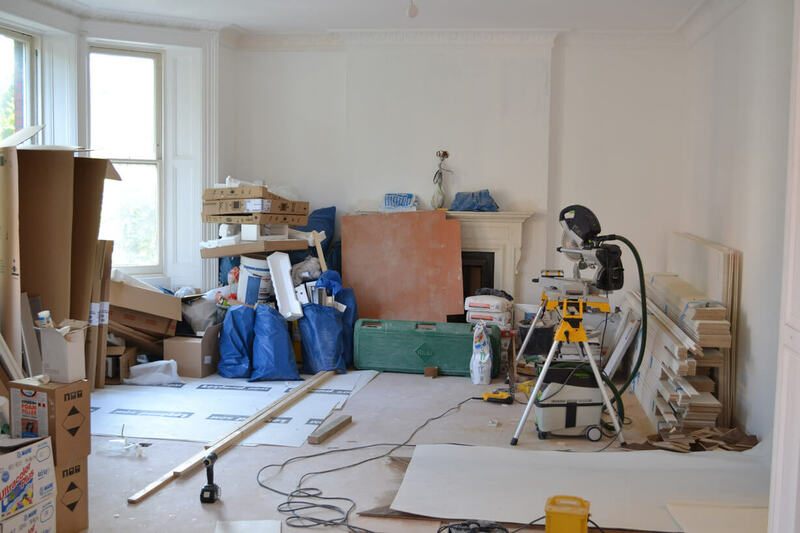 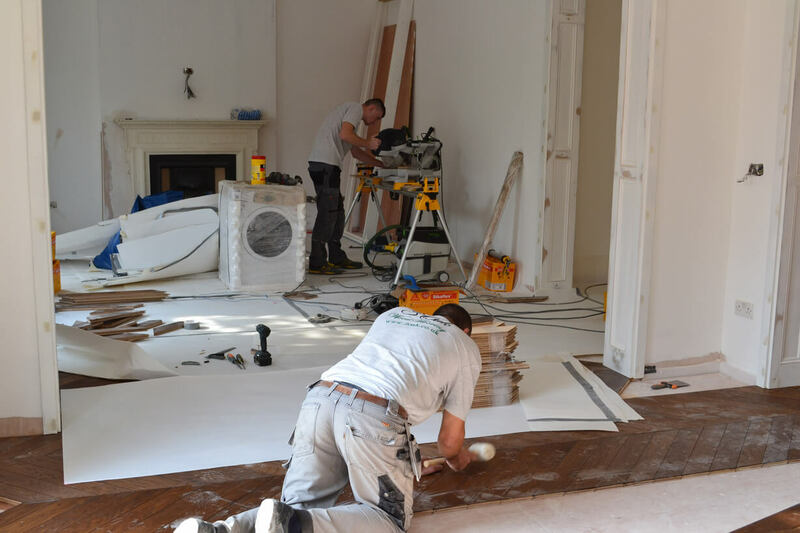 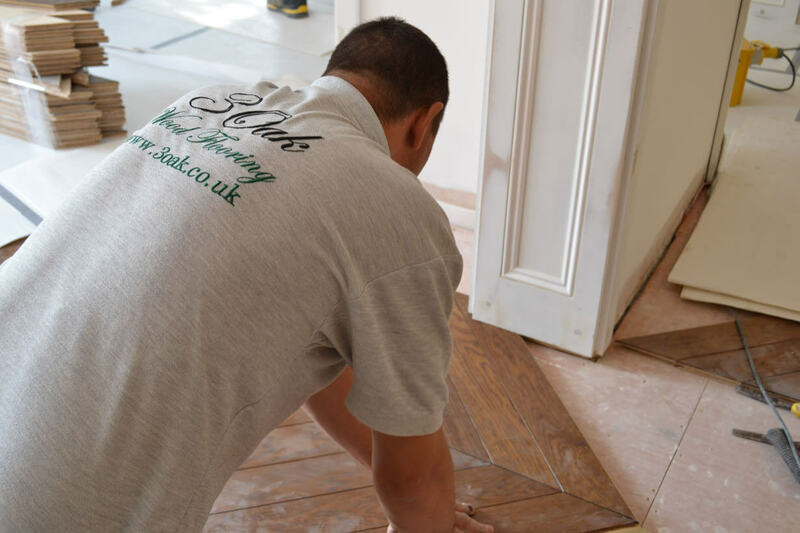 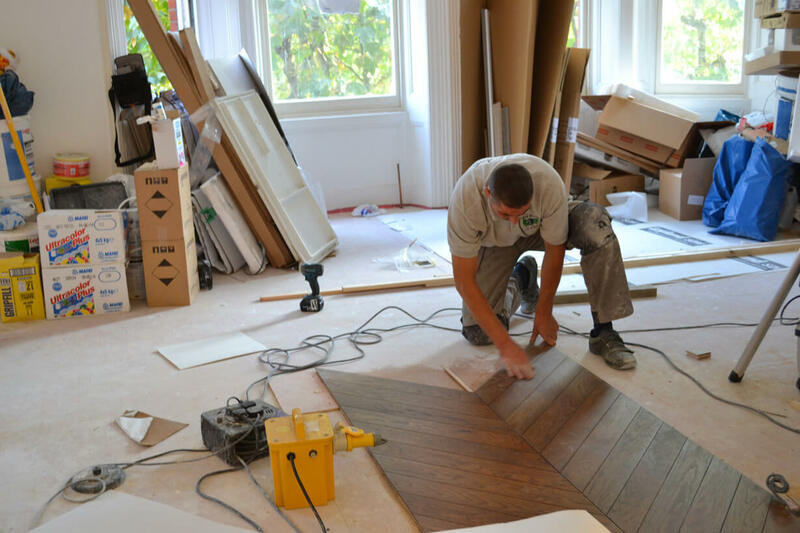 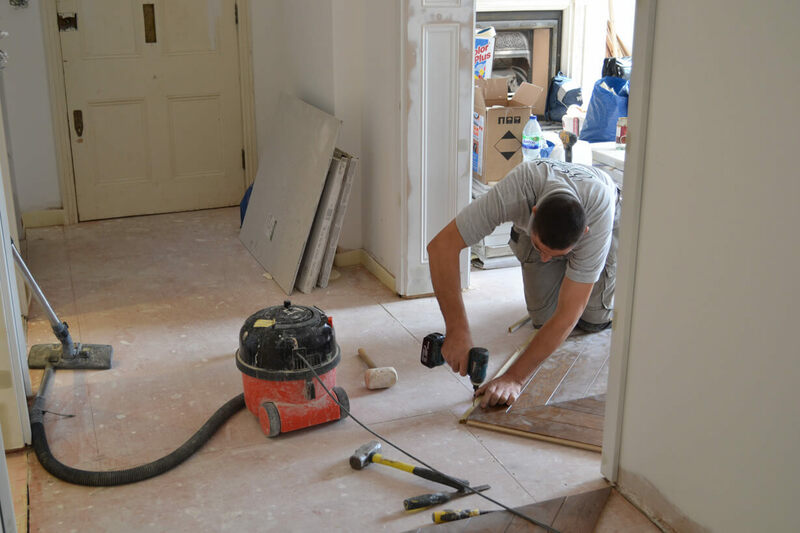 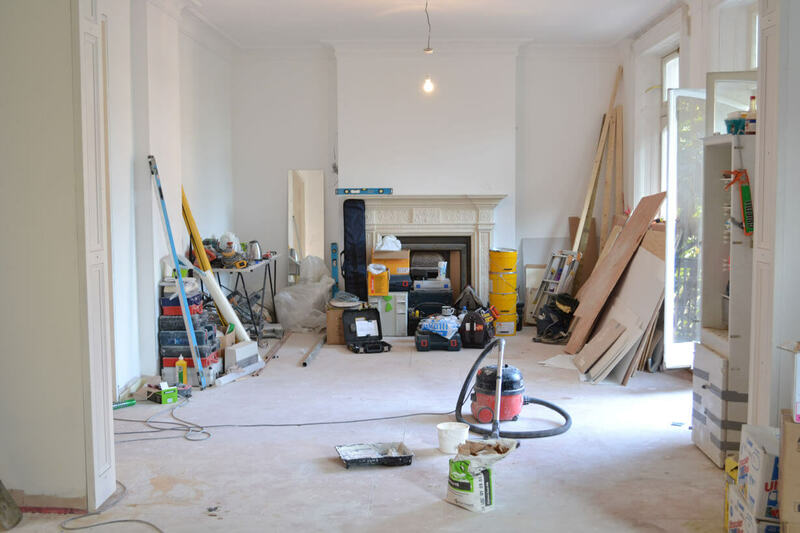 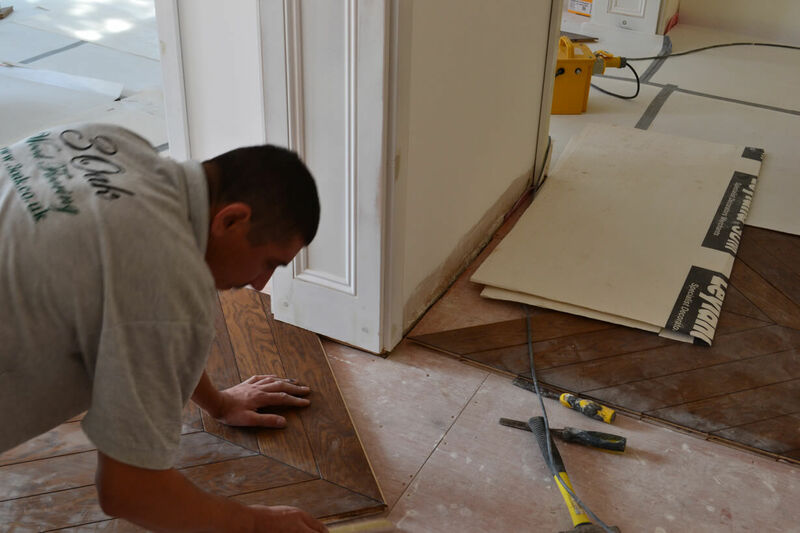 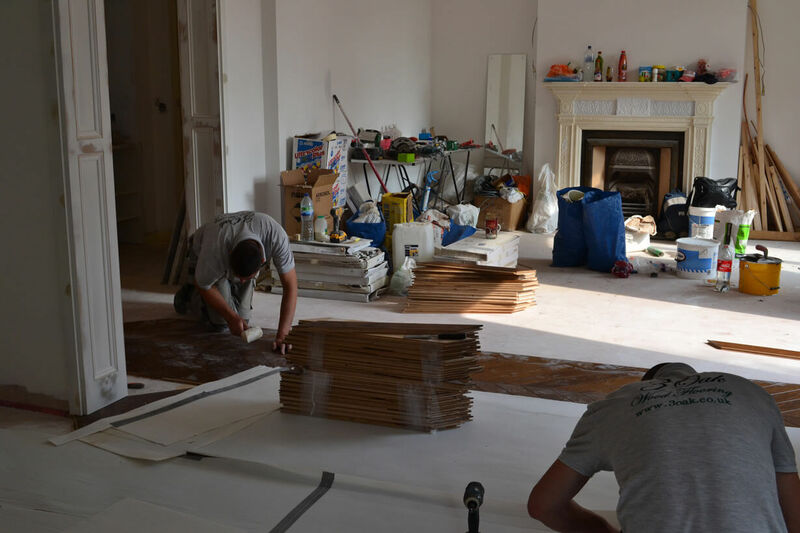 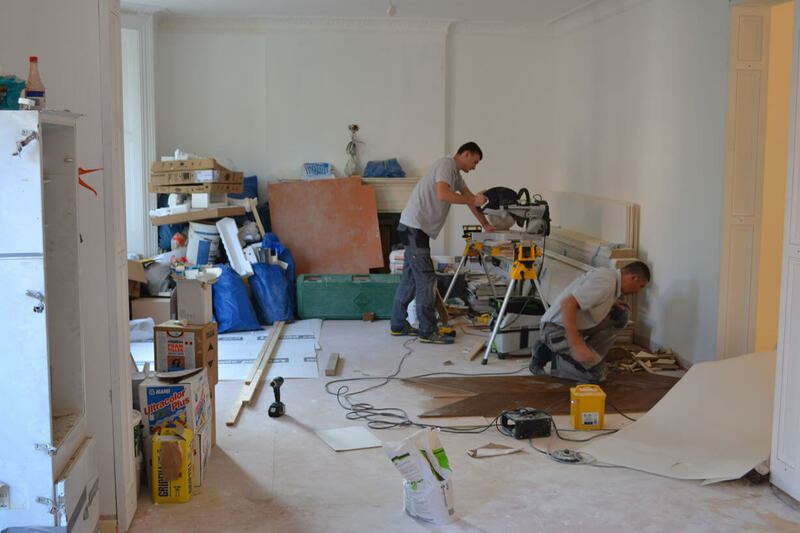 We are currently installing a new Chevron Parquet floor in SW5, the flat is being fully re-furbished so something special for the floor was a must. 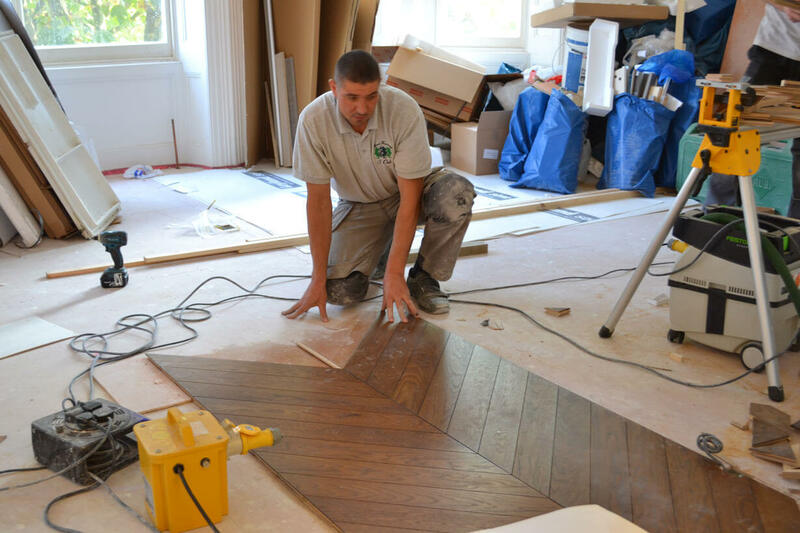 Our client chose a Chevron Parquet floor made of large, Engineered Oak blocks. 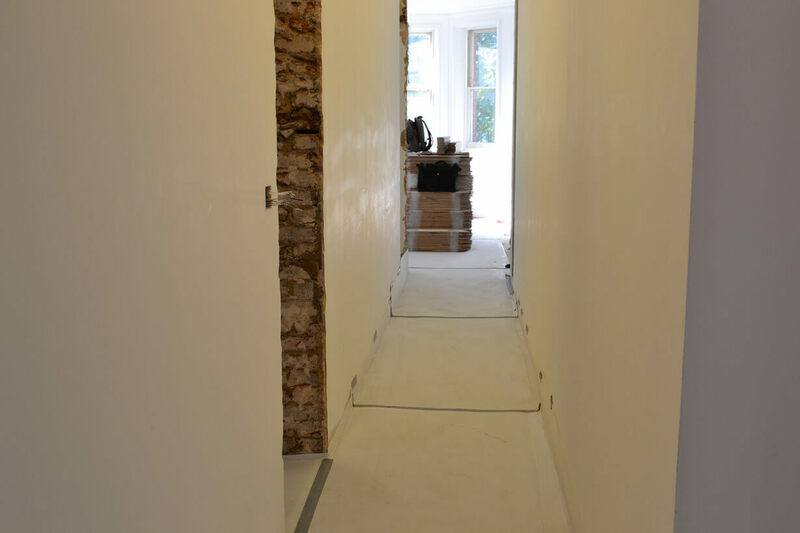 Each block is 21mm thick, 100mm wide and 700mm long. 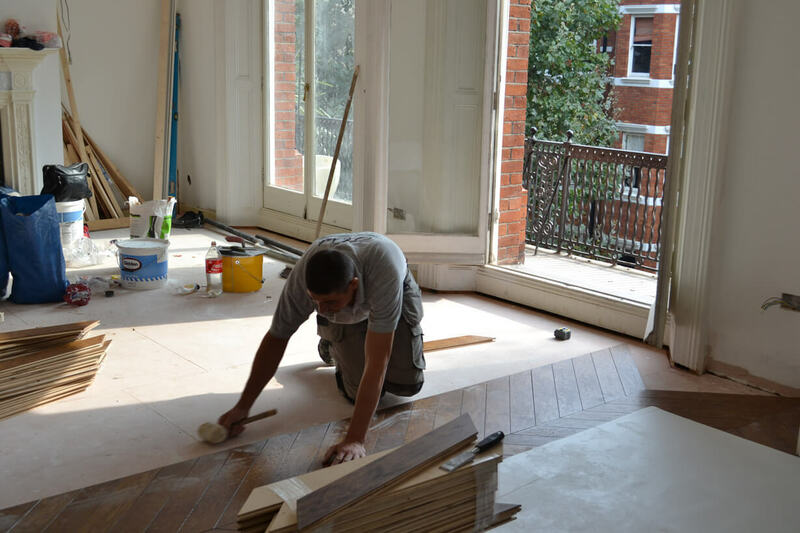 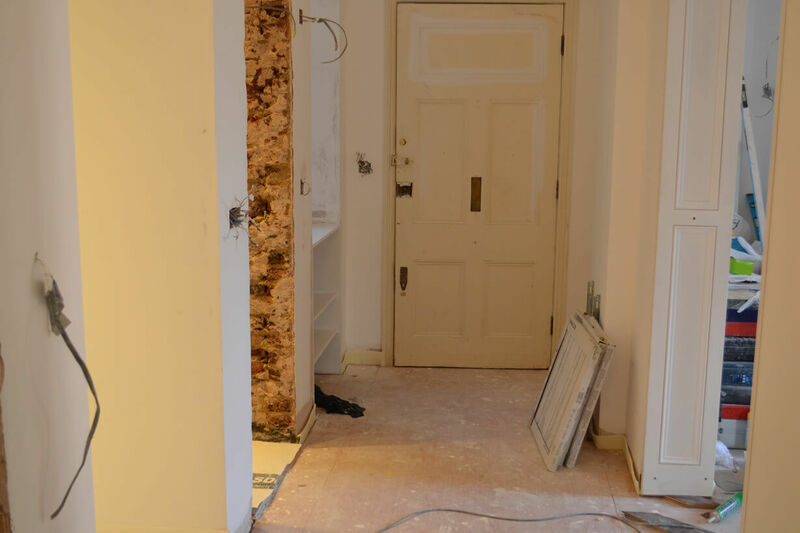 A traditional brown finish was chosen to compliment the original features in the apartment. 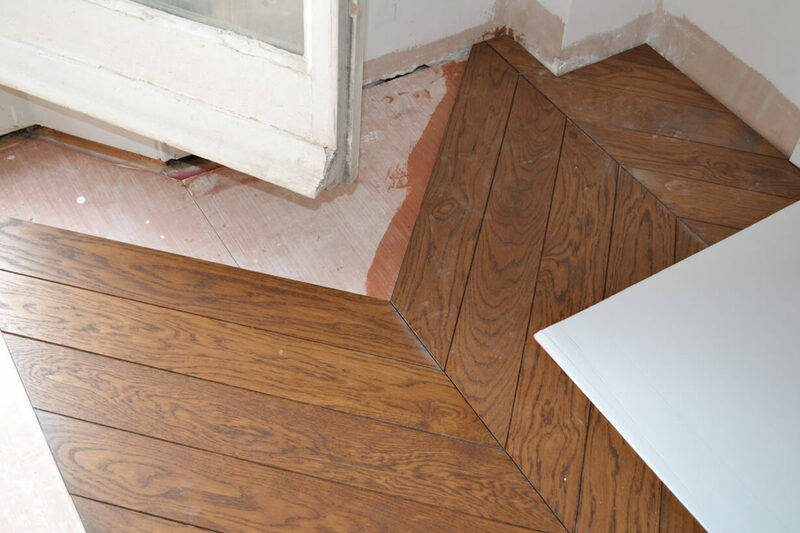 In this case the client has decided against having the traditional style of border, instead the floor will be borderless so the chevrons will look like they are passing under the walls. 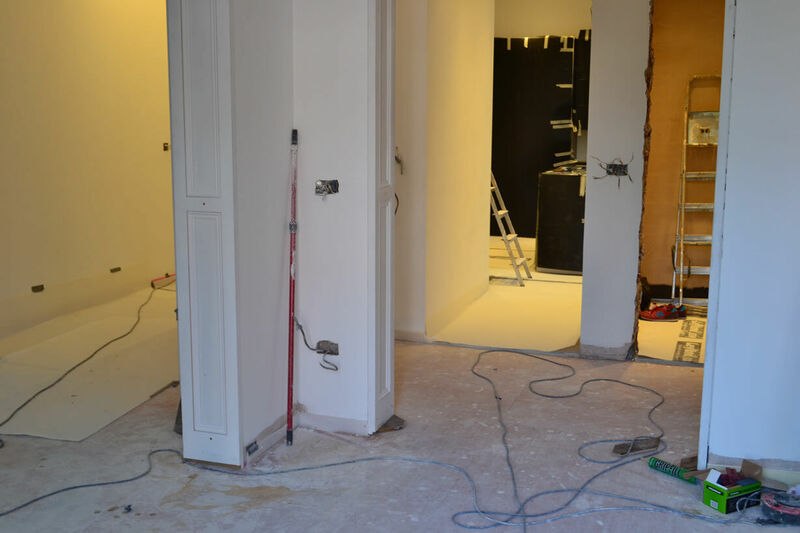 We cant wait to see the fished result.